Police officers have launched a manhunt after a blood soaked goat was found bleating in agony on a beach opposite a hotel in South Africa used by the rich. A voodoo dagger was plunged up to the hilt in the goat’s back. Police believe it was supposed to have been slaughtered as a sacrifice in a black magic ritual during a full moon but escaped from its tether and was found the following dawn. The goat was found bleating in pain on Camps Bay beach in Cape Town – a top tourist spot – opposite The Bay Hotel. The handle of the sacrificial knife found in the goat’s back had been wrapped in red cloth and what appears to be human hair. 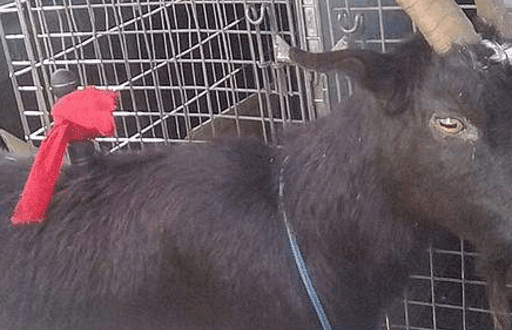 The goat was named Hilda and was immediately operated on by a vet and the blade was safely removed and it is believed the injured animal will make a full recovery. It is suspected the animal was involved in some type of ritual that occurred during the night on the beach but managed to evade its captors. 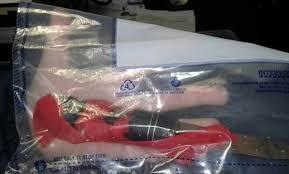 ‘The handle of the knife was wrapped in red cloth material with hair woven into it. 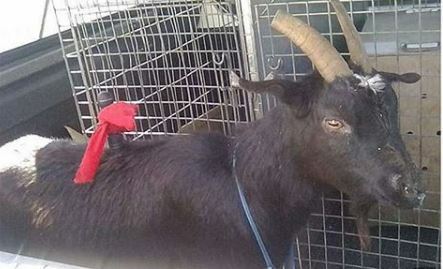 We are making inquiries to discover who is responsible for stabbing the goat and we will prosecute under the Animal Protection Act and are appealing for any information’ he said.